Planning an event is an intimidating task with many choices to make, details to cover, and timelines to follow. By using our DIY steps below it will help lessen the stress of choosing rentals and help you feel prepared to make choices in planning your event. Just 4 Fun Party Rentals is a full service white glove event & party rental vendor. Our professional event staff can walk you through the planning of your event rentals from start to finish, and with the following steps you will be able to make informed decisions for the successful outcome of your event! Step 1: Measure Your Event Space (length x width); Take note of any steps, hills, unlevel ground and the ground surface where the installation will occur. View the space at night (if a nighttime event). Ask yourself how is the lighting, where are the bathrooms located, where will my guests park and is the path from parking to venue lite properly? *We have layouts of most venues, however it’s always a good idea to familiarize yourself with the venue for the success of your event. Step 2: Make a Rental List; Use our guide to make a list of rentals, all rental items available are on our website with a complete description and basic rental price (not including delivery). *Click here for rental planning guide. Step 3: Call us at 805-680-5484; Now that you’ve completed steps 1 & 2 you are ready to get your quote. Just 4 Fun is open M-F 8am-5pm at 805-680-5484. You can also use our Quote Cart available online for an easy shopping experience. A quote is not a reservation and no money will be required, so feel free to add dream items to your cart! From corporate events, wedding celebrations, fundraisers, birthday parties, or just a simple dinner party, we have the products, resources, and event expertise to make your event a success! Please don’t hesitate to contact us today at 805-680-5484 M-F 8am-5pm for our extra help. Our staff have the event and party rental expertise to help you create a successful event regardless of size. I Have My Quote… Now What? Revisions; If you forgot something, want to add or delete something just email or call in a revision, we are more than happy to help you get it right! I am not sure of my guest count; We advise you to book your minimum guest count. Looking for a place to stay while your in Santa Barbara? 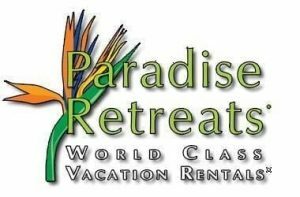 Try Paradise Retreats!